Since 1988, Will Aid has enabled the legal profession to raise over £19 million for good causes. The Will Aid charities all work with the most vulnerable people in the UK and around the world, so that sum of money will have improved countless lives. 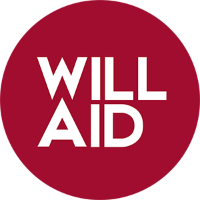 You can find out more about the great work the Will Aid charities do by following this link. Over those years, Will Aid has encouraged and helped more than 300,000 people to make their Wills. By writing their Wills, these people may have spared their family the distress of coping with legal complications as well as losing a loved one. Martin MacDuff, Redbrick Solutions Managing Director comments “Will Aid is a fantastic cause and we are delighted to be supporting both the charities and our clients this month. Redbrick Practice Management already makes the production of Wills, (which are often considered a non profitable transaction due to the low fees and time involved,) so much more efficient that clients have found they are able to produce the Will in a fraction of the time and make a profit from the work. For further information, please call Redbrick Solutions on 0845 166 2629 or Contact Us.